looks good this, especially at the starting price. Yes it looks good. Definitely worth giving it a free 7-day Waves trial & seeing what you think. Maybe someone on here has tried it already? GearSlutz chit-chat seems to be favourable. I had it and I really like it. I think it was a bit of an impulse purchase because their video said "Pink Floyd"! haha. However, I like what it does to the sound of my mixes, even though I'm still just getting my head around what it's doing and all the controls. I'm playing about with presets and tweaking, mainly, whilst I figure it out, and they sound bloody great! I’ve had the demo for a few days. 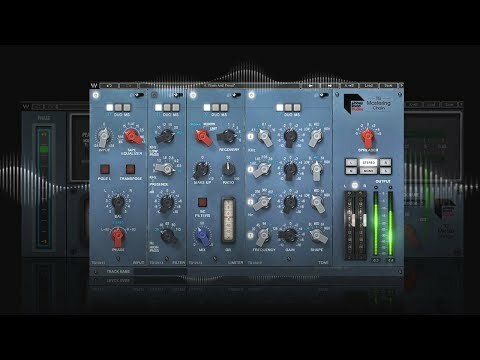 Mastering isn’t normally my bag, but this is real easy to use and get a great sound out of it. You can also drop it in and channel strip and use the separate parts of it on individual tracks to great effect. It’s a bit of a bargain at that price. Use the code on Plug In discounts and pay £18 ! Free if you own Mercury bundle.